This is not a book you read and forget. This is a book you read, think about, explore, read again and, dare I say it, attack with a highlighter and sticky labels. Dr Diana Korevaar is a consultant psychiatrist who specialises in women’s health, pregnancy and perinatal psychiatric disorders. Her book is packed with science (but delivered in non-science talk) and brings together the experiences of real parents dealing with real problems. 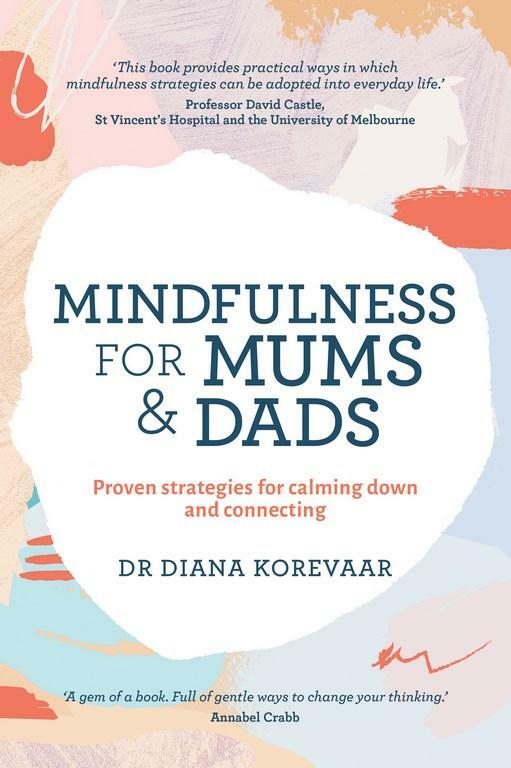 Divided into two parts, Mindfulness for Mums and Dads first takes you through the science of what mindfulness is and how our minds actually work when we experience stress and happiness. The second part of the book delivers a variety of techniques to approach parenting challenges more peacefully, using case studies from actual patients. Mindfulness for Mums and Dads will make you take a good, hard look at yourself and how you deal with stressful parenting situations. The focus is on you, the parent, and your interactions with your family. But it makes sense that to improve our interactions, we must first look at ourselves and consider how our reactions and approaches affect our relationships. There are many breathing, meditation and stop-and-think exercises to be explored, but the book has been designed to make things as easy as possible for the reader. You don’t need to read it from start to finish, so you can flick to the chapters you're in need of. And within the chapters, the case studies and mindfulness techniques are clearly marked, so you won’t need to wade through a chapter to find the exercises if you’re looking for one in particular. There are also beautiful calming colours and illustrations by Emily O’Neill throughout the book. 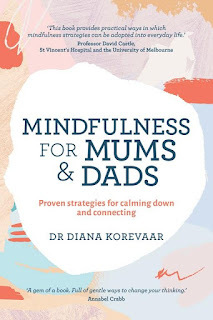 Mindfulness for Mums and Dads is an enlightening, challenging and confronting read. The strategies and techniques take practice and commitment, and even Korevaar notes readers should be kind to themselves when trying out the exercises. But if you’re looking for help, for ways to be calmer and better connect with your family, this might be just the book you’re looking for. And if you know a mum in need, it might also make a great gift for Mother's Day.